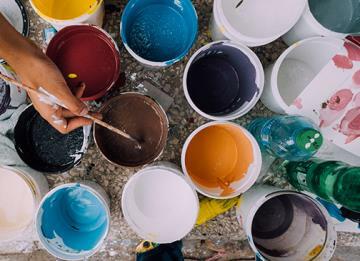 Brilliant, never boring, these action-packed three-day camps are just long enough to allow kids to really discover and explore their favorite art forms. 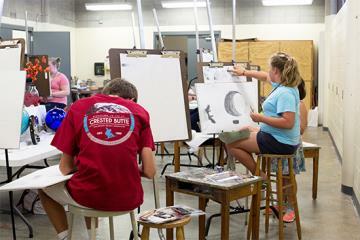 Taught by experienced art professionals, the camps offer fun art experiences for every age. Click below to find the ideal camps to suit your budding artist. Come join us for squeezable, squishable, moldable, get-your-hands-dirty clay week. We'll make everything from rainforest lizards to silly creature mash-ups! 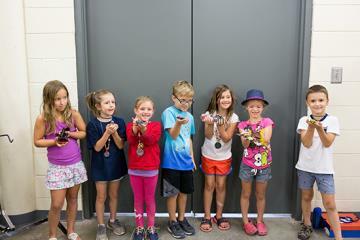 With a dash of their own creativity, campers will make a variety of projects, using hand-building techniques like pinch pots, coils, and slabs. Art Safari for ages 5-7 $85 plus $25 for materials. 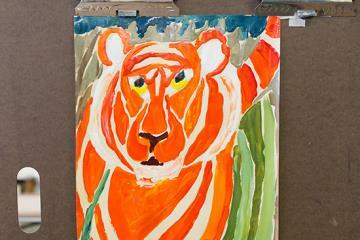 Using wild animals as a central theme, this class gives young artists the opportunity to explore a variety of mediums. Camp includes painting, collage, clay, and printmaking. Animal Adventures for ages 5-7 $85 plus $20 for materials. This camp gives kids the chance to immerse themselves in the study of animals and their habitats, both in the wild and in zoos. Whether hand-building with clay, creating colorful collages, or exploring paints and pastels, kids can discover their own creativity in this hands-on exploration of the natural world. Look around the world for art inspiration! We’ll travel in our imaginations to Oaxaca, Ghana, and other inspiring places to discover the many ways that different cultures are represented through art. 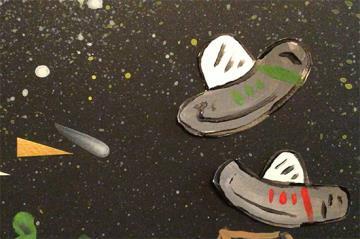 Stop Motion Animation for ages 8-13	$85 plus $10 for classroom materials. Art and technology meet in this fun exploration of stop-motion animation techniques. Using props, drawings, and cameras, students will work in teams to create their own animated short films. Students need to bring an iPad or smart phone to camp and will need to download a required app before class (approximately $5). Drawing Studio (Elementary) for ages 8-10	$85 plus $30 for take-home materials. This drawing class is recommended for serious young artists seeking to build skills in drawing. 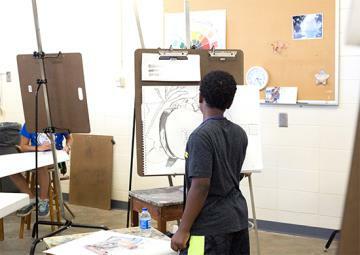 Studying still lifes, landscapes and cityscapes, and other drawing content, students will explore composition, drawing techniques, and multiple media. Emphasis will be placed on personal expression using the elements and principles of art. Gallery sketching exercises are included. 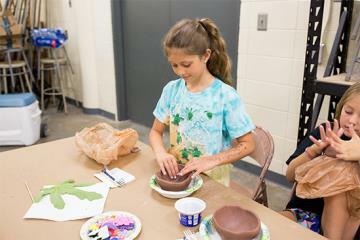 Explorations in Clay for ages 8-10 $85 plus $25 for materials. Join us for clay-based challenges in the art studio, using hand-building techniques like pinch pots, coils, and slabs. Be prepared to get a little messy, as we create everything from simple bowls to more intricate sculptures. Explorations in Printmaking for ages 8-10 $85 plus $25 for materials. 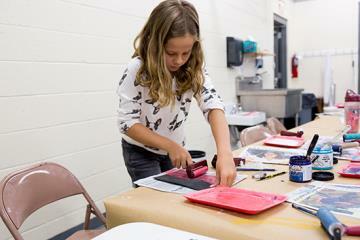 Young artists really enjoy exploring printmaking techniques. By experimenting with monoprinting and other non-toxic printing methods, we'll find varied ways to express color, shape, texture, and other elements of design. Look around the world for art inspiration! 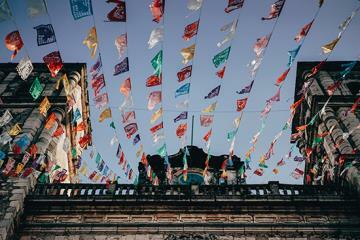 We’ll travel in our imaginations to Oaxaca, Ghana, and other inspiring places, where we'll discover the many ways that different cultures are represented through art. Art and technology meet in this fun exploration of stop-motion animation techniques. Using props, drawings, and cameras, students will work in teams to create their own animated short films. Students will need to bring an iPad or smart phone to camp for the week and will be asked to download a required app before class (approximately $5). 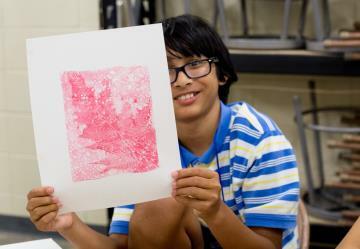 Print Studio: Gelatin Printmaking for ages 10-13	$85 plus $25 for materials. In this printmaking camp, we’ll enjoy some playful and creative experimenting with gelatin plates and lots of colors, shapes, and textures. 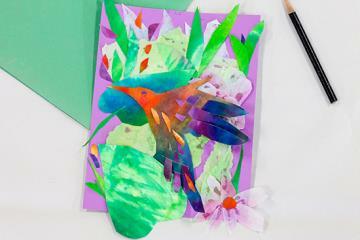 Finding inspiration in paper cut-out collages by Henri Matisse, students will create their own collage-based prints. Drawing Studio (Middle/Secondary) for ages 11 - 14	$85 plus $30 for take-home materials. Aspiring young artists will improve drawing skills using charcoal, conte crayons, and colorful pastels. Drawing from personal observation, students explore shape, proportion, scale, perspective, contrast, and shading. Students will discover techniques to develop personal style, finding inspiration in the GCMA galleries. Painting Studio: Acrylic Painting for ages 11 - 14	$85 plus $35 for take-home materials. Aspiring young artists will learn to work with acrylics by exploring shape, proportion, scale, perspective, value, and contrast. Students will paint from photographs, finding inspiration in the natural world, as well as the GCMA galleries.